TOURISM Promotions Board Chief Operating Officer Marie Venus Tan hopes a creative festival will be the start of something big. “This is the beginning of collaboration, something that we would like to sustain,” Tan said. 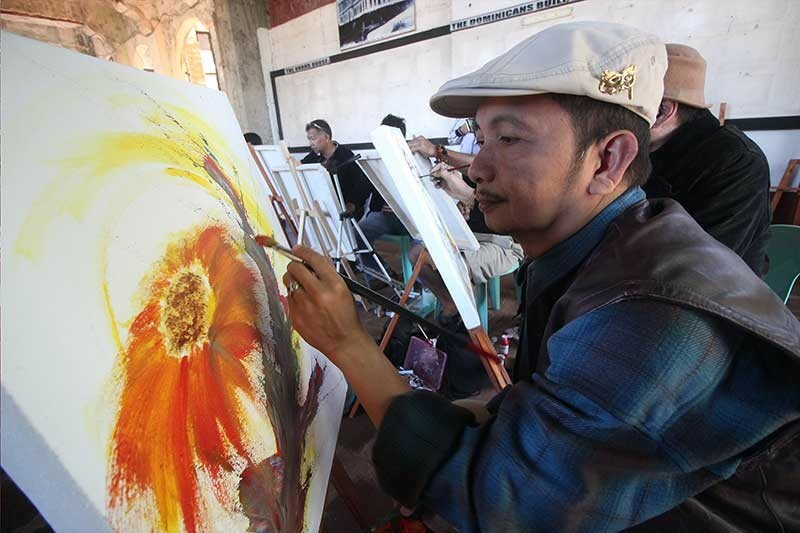 Tan, who was former Department of Tourism Cordillera Regional Director, led the launch of the EntaCool, the 2018 Baguio Creative International Arts Festival at the historic Diplomat Hill (Former Diplomat Hotel at atop Dominican. The festival is a celebration of the inclusion of Baguio among the 64 cities from 44 countries designated as Unesco Creative Cities, championing creativity and craftsmanship. Tan said “This is just a beginning, we are just convenors, and it is up to the artist and artisans to make it happen. Tan was with Baguio Arts and Creatives Collective Incorporated [BACCI] chair Adelaida Lim, University of the Philippines Baguio Chancellor Ray Rovillos, City Tourism Officer Alec Mapalo and Couniclor Mylen Yaranon. Lim who likewise stands a lead for the textile crafts in the creative council sees the time for artists to break the stereotype of “a struggling artist” persona and become catalysts for change and economy. BACCI aims to empower artists and artisans to level up their trade and be part of the creative economy the city has found. Over the weekend, solemn prayers and offerings were given at the start of the festival through a “Ba diw,” an Ibaloi prayer recited through chants and performed by elders referred to as “mambunong” in the community for different occasions. For the EntaCool event the Ba diw was led Felix Siplat with “asbayat” or chanters which started with a “pletik” or opening of the rice wine called “tapuey” as a primary offering. The elders then called on the mountain god “kabunyan” to ask for guidance and blessings for the event as well as for everyone present. The mambunong also called on the other deities, ancestors as well as the ‘ampasit” or the unseen not to disturb the occasion. EntaCool was coined from the word “entaku” meaning let’s go and “cool,” the adjective used to describe Baguio’s climate and its people. Main festivities are set at the Diplomat Hotel as well as key areas in the city to host the month-long affair with exhibits, talks on culture and creativity, forest bathing, weaving, crafts exhibition with offerings artists in the city. The festival has the objective to foster innovations and creativity as key drivers for a more sustainable and inclusive urban development. The festival also lays the foundation for the city to establish creative hubs and spaces where the aim of promoting creative endeavors as a driver for sustainable urban development can be institutionalized as a city long term program.